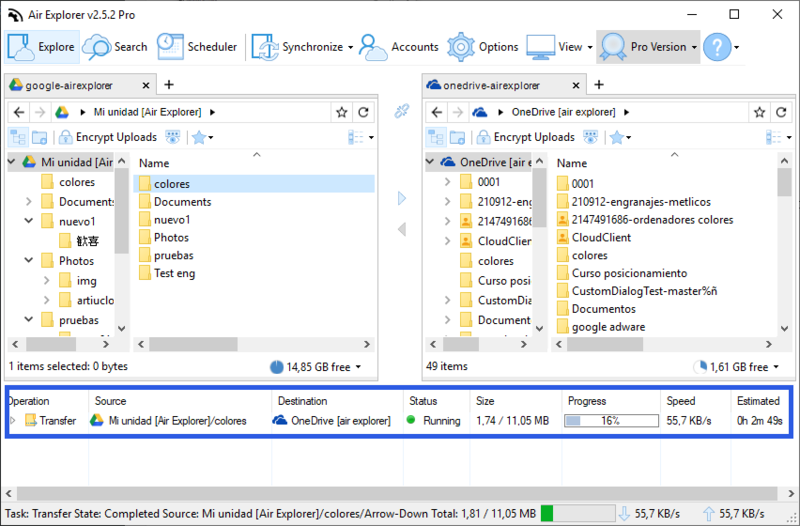 How to transfer files from Onedrive to Google Drive? 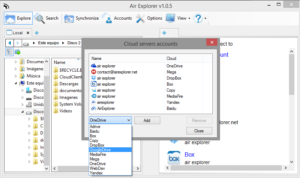 Air Explorer is an easy transfer tool that you can use to transfer files from cloud to cloud. 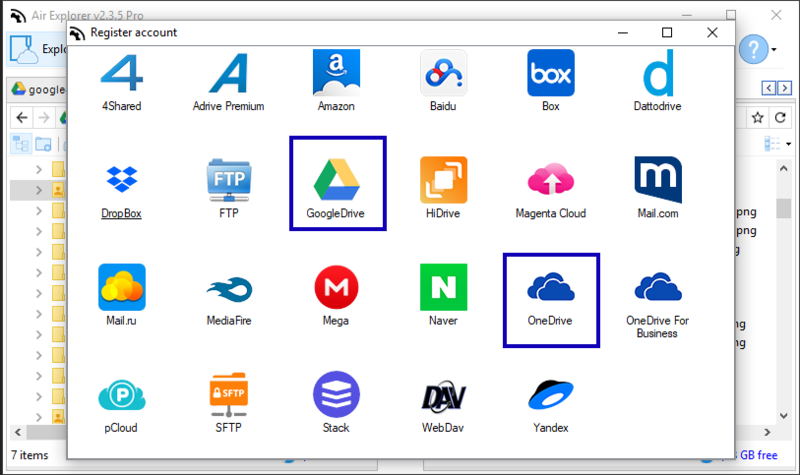 For example, if you have Onedrive and Google Drive accounts, you can move or copy your files between the two clouds. Step1. 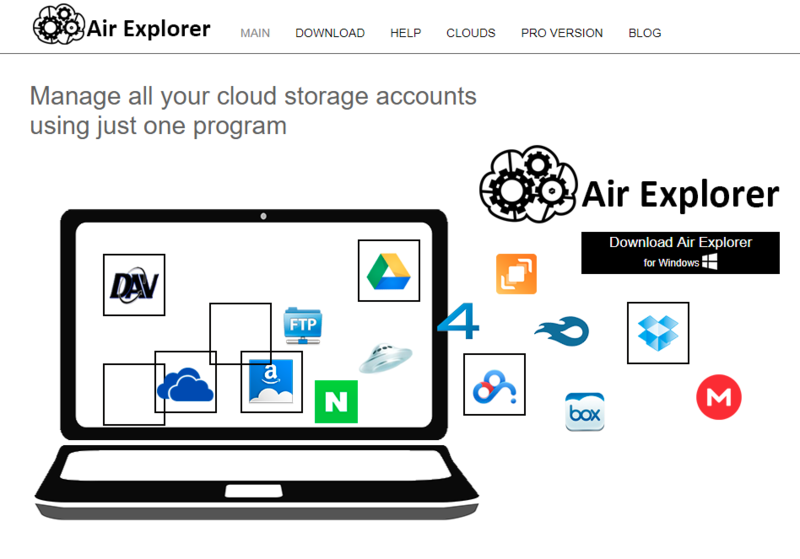 Install Air Explorer. 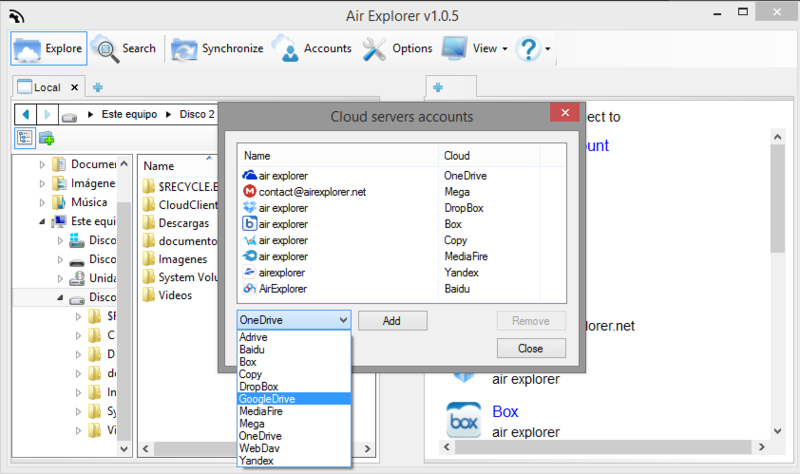 Download from airexplorer.net and install it in your PC/Mac. Step2. 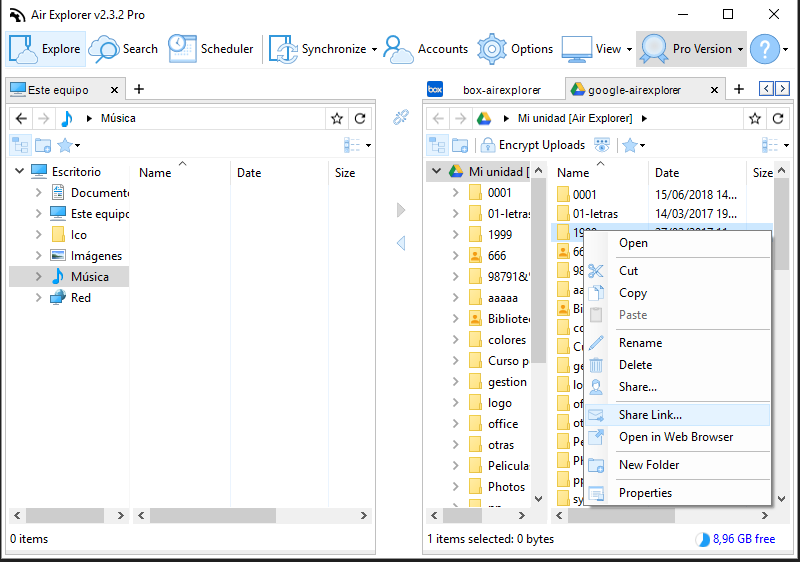 Add your Onedrive and Google Drive accounts. Step3. Open in one window one cloud and the other cloud in the other window. Step4. 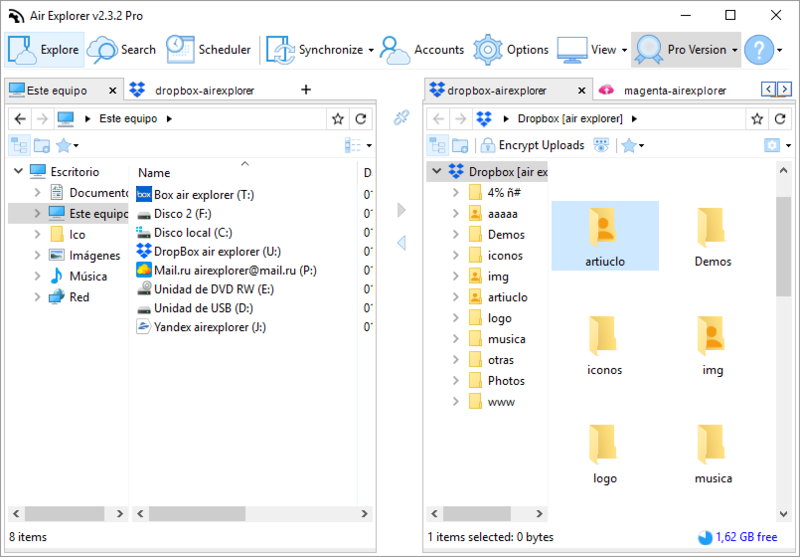 Copy/paste or drag and drop the files between the clouds. 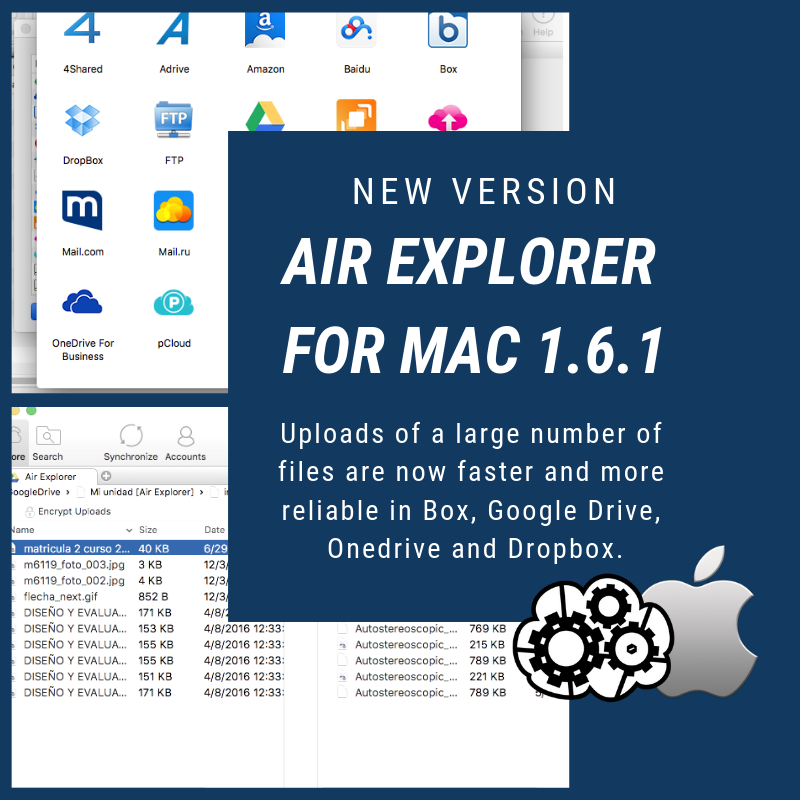 Air Explorer already supported sharing links, now it supports share folder for Box, Dropbox, Google Drive, OneDrive and OneDrive for Business. 1) The files are read only. 2) The recipient doesn’t need an account. 3) Doesn’t use up other person clouds quota. 4) Password protection is available in some accounts and clouds. 2) User must have an account. 3) Use up the other person quota. When you choose “Share folder” you can manage the permissions that you give, for example, read only permissions or read/write permissions to the other user. 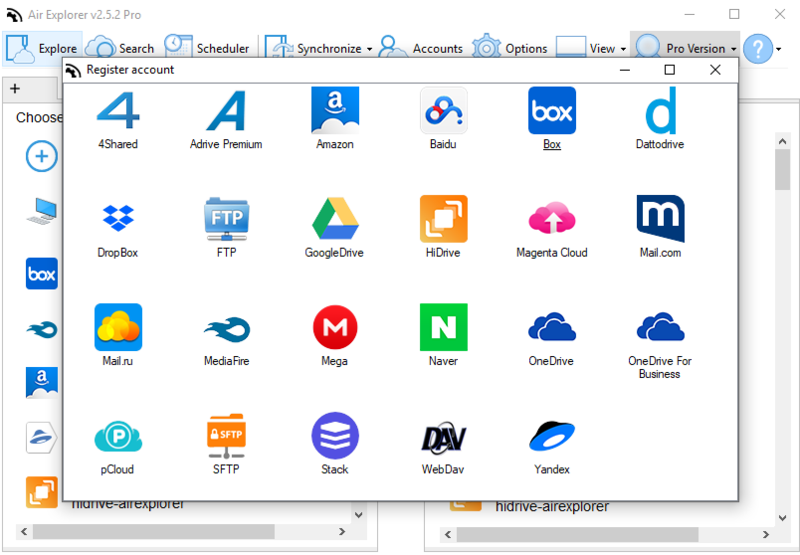 When you have shared a folder, the folder icon changes for Dropbox, Google Drive, OneDrive and OneDrive for Business. Shared Box folders are shown now in grey or blue like in the Box web. 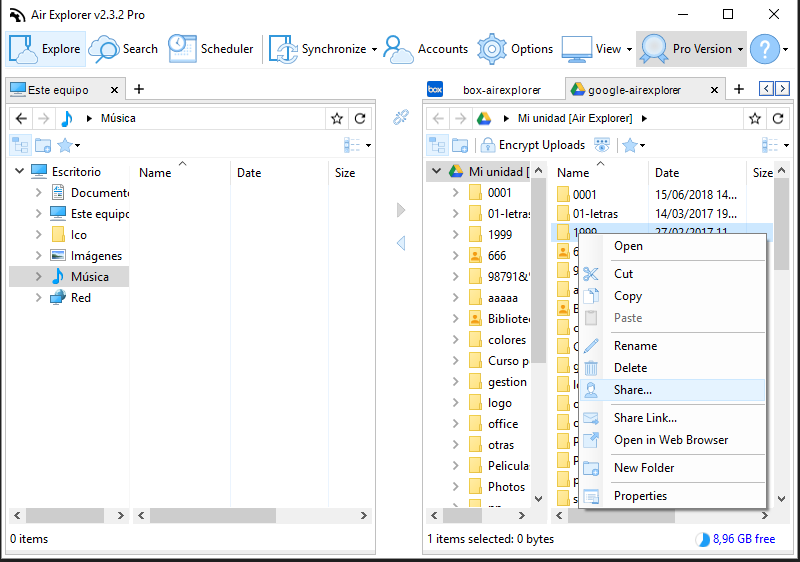 If you have a Google Drive account, mayby you are seeing others people files because they shared some files with you (they gave you access). You can enter to your Google Drive via the official web interface and you will see also others people files shared with you in the “Shared with me” section. 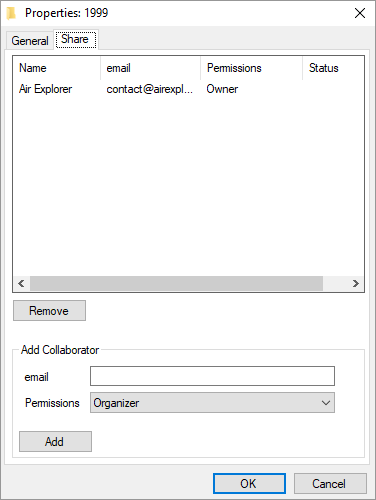 Air Explorer only shows what you have access because they gave you access, it is completely impossible for Air Explorer to show others people drives if they din’t give access to you. 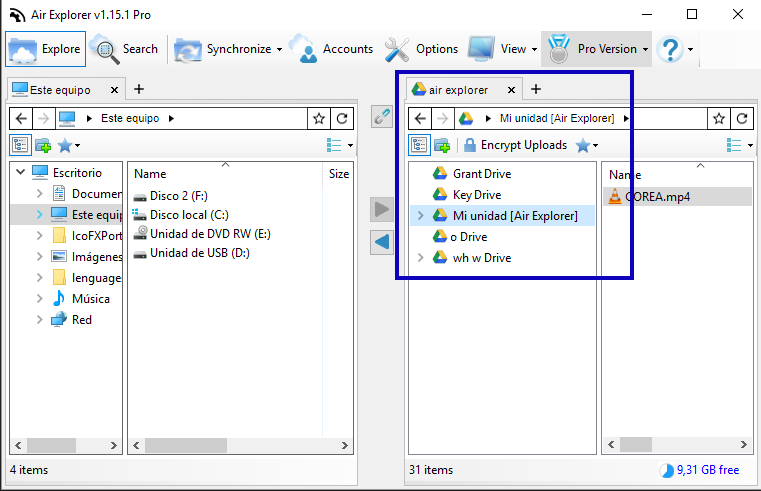 If you don’t give access to your files you don’t have to worry. Currently Google Drive has no way to stop others people to share with you files. They can do it by mistake, spam or other reasons. 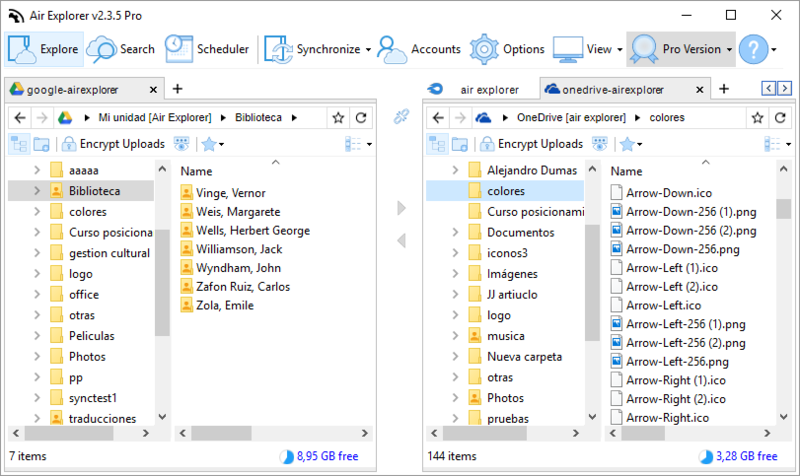 If you don’t want to see the files shared with you by other people you can enter in the Accounts list click on “Edit” and click on “Parametes” then uncheck “View others people drives shared with me” Then restart Air Explorer. 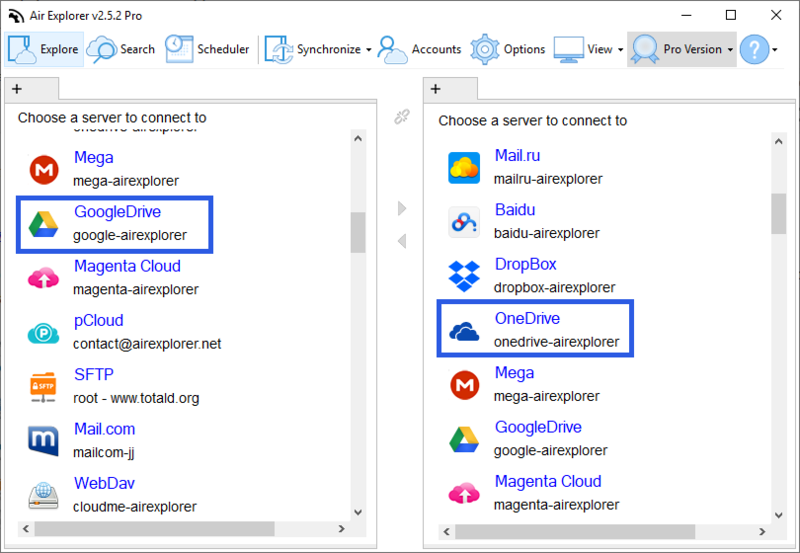 How do I add a Google Drive account in Air Explorer? 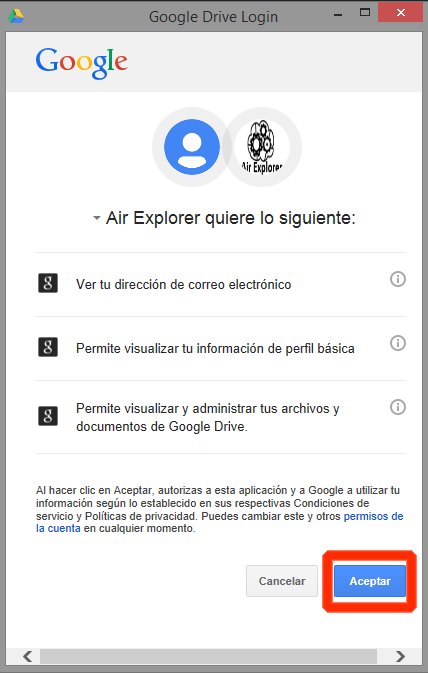 1º- In the Cloud Servers Account window, you have to select Google Drive. 2º- You have to introduce your email and password. 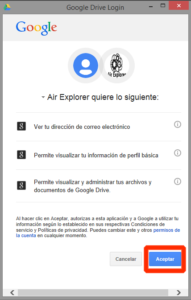 3º- You have to accept the conditions of Google Drive.